Julia and her best friend, Melody, are trying to move on after their first hand experience with how awful being the victims of a cyberbully can be. While they are doing well and thriving in their new school, making new friends, and doing everything normal teenage girls love to do, they still have moments of fear and doubt. There are triggers that recreate those feelings of terror and suspicion. It will be a long road to complete healing, but I believe we are on our way. I am proud to say that along this road the girls have been empowered by a new calling – a desire to tell their story and share how their peers can stay safe online. They are hoping to bring awareness so as to help prevent something similar from happening to others. Recently they were able to speak on a panel at a blogging conference in Florida, along with Marti (Melody’s mom) and myself, to share these tips. Before sharing these tips with y’all, I think it’s incredibly important to define what makes a bully, and thus a cyberbully. All too often are these terms, or titles as it were, are thrown around lightly and misused. While the girls case was pretty extreme, as they saw almost all forms of cyberbullying, any harassing behavior that a bully uses via technology fits the bill. Bullying is an intentional and repetitive aggressive behavior. An attitude spawned from the intention to gain power over another; to gain the upper hand emotionally and/or physically. When people disagree, aggressive behavior and responses may appear similar to bullying, but it is important to know the difference. Be careful not to assume that every conflict requires identifying a bully and a victim. Cyberbullying involves using technology, like cell phones and the Internet, to bully or harass another person. Cyberbullying can range from embarrassing or cruel online posts or digital pictures, to online threats, harassment, and negative comments. Cyberbullying can also take the form of stalking through emails, websites, social networks and text messages. I feel like this only scratches the surface, so I will plan to elaborate at some point. Feel free to add to the conversation by adding your own tips in the comments below! One thing that has always puzzled me about cyberbullying is why people don’t just disconnect. With one-on-one bullying, the perpetrators are in your face, unavoidable. I know I haven’t experienced cyberbulling, but I talk to my kids regularly about turning off social media if they are experiencing negative social engagement. 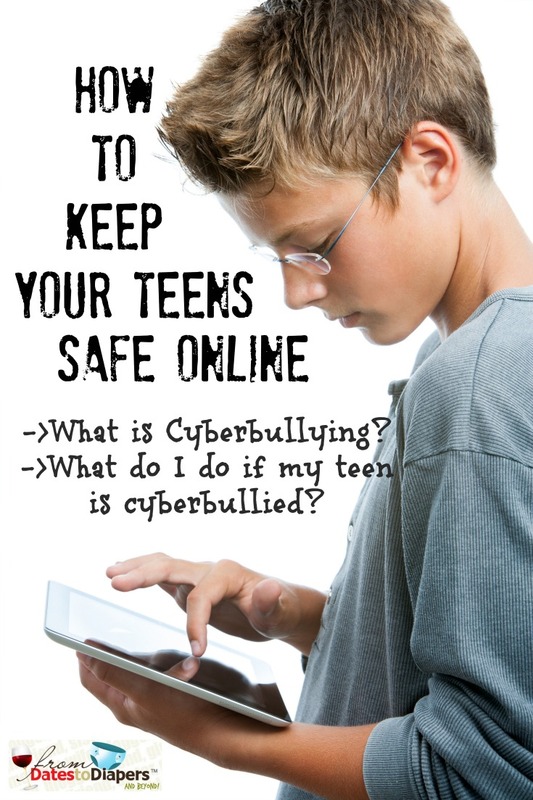 My little ones are too little to be on the net yet so I haven’t had to deal with cyberbulling. But I will be coming back to check out your tips again when its time. So glad that the girls are doing better and are able to speak about it and share their story with others. That was so scary what you all went through, I just can’t imagine!!! My son is currently not interested in social media of any kind – and I am thankful given your story. This is great information! I am dreading when mine hits a teen and wants his own technology. We are just on the cusp on the kids having their own social media channels, so I’ve been researching. I want to know what I need to tell the kids in advance. Unfortunately, there are so many examples of cyberbullying I want them to be prepared. Cyberbulling is becoming such a problem, since the bully is able to hide behind their computer screen or device. The tips shared here are very helpful to kids that are feeling bullied. I hope they will help someone decide to tell their parents! I am not looking forward to letting my kids have access to devices because cyberbullying scares me. Thank you for the tips! Cyber bullying is becoming such a problem. I see it already and all my son does is play minecraft online. I can’t imagine when he’s older and on Facebook or some other social channel. This all makes me glad my kids grew up before computers were so much in use. There were not that many ways to bully back then, and certainly no cyberbullying. We didn’t even have cellphones back then. That’s great advice about not responding and fueling the fire. It’s incredible how rampant this problem is now. I sat in on your session at Niche and was blown away by your story. I certainly hope you guys are getting those answers you need. And it’s great to see that you are helping other parents understand how hurtful cyberbullying can be by spreading the word and educating. I am so glad to hear your girls are doing better, and have devised some ways to cope. Simply unplugging from online isn’t a solution. It doesn’t make the bullying stop. Great information and tips. This is one thing that really scares me as my son gets older. Thank you for this information, I have 3 young girls who have been using the computer for school projects and chatting with friends so i need to make sure that they know what is right and wrong. I think it’s so sad that there is a need at all to have these repetitive conversations with our kids, but based on all the studies, it’s not getting better – it’s getting worse. Audrey at Barking Mad!´s last blog post ..Are Kids Getting Meaner? Cyberbullying is a whole other issue entirely. Some parents might think it mean but I would easily fix the problem by removing them from social media for a while. My kids have never cared much for social media or what others (peers) may think about them. They are pretty secure in themselves and have never been into any trends. Don’t take me wrong, I feel bad for kids going through this. The best thing we can do in these situations is show support and keep the communication open daily. One of the things that we learned through this whole mess – and there are many – is that the cyberbully will often target kids who are popular and secure in themselves, as was the case with Julia and Melody. This differs from irl bully situations in that the perp gets to hide behind a screen. It’s maddening. A common element of bullying is stress. We need to teach our children stress reducing techniques so that they do not respond to the bullying before they involve their parents, teachers and authorities. Children as well as, adults have a tendency to respond in the moment to the threat which can make the problem worse by feeding it. 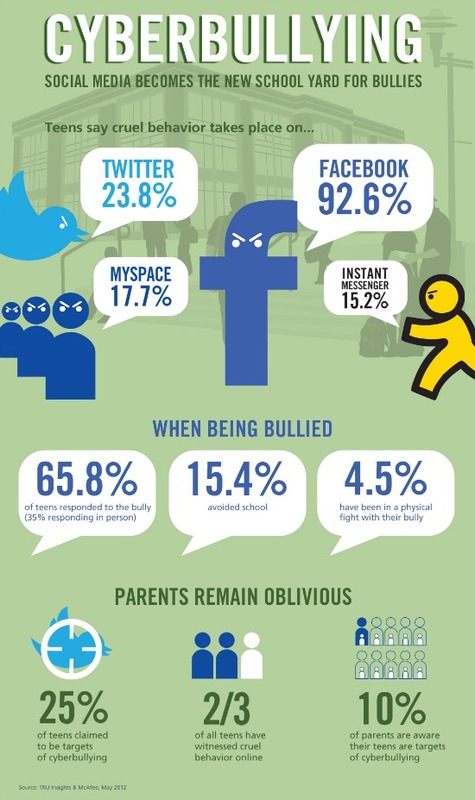 Parents and educators need to understand that cyberbullying is a real and serious problem. People often undervalue the consequences that underlie from this online threat and so they don’t educate their kids about it. This article ( https://funifi.com/blog/are-you-leaving-your-child-vulnerable-to-cyber-bullying/ ) explains what needs to be done to keep your kids safe online. I really hope that we can stop cyberbullying and eliminate its consequences. Telling your cyber-bully too stop won’t stop them, it will only make the bullying worse. I’m only 10 yrs old and haven’t experienced cyber-bullying but I know what it feels like, my 14 yr old sister was cyber bullied once…. This comment isn’t for the parents, it’s for the cyber bullies, if the child’s parents know how to hack (They probably won’t, but you never know) they can track you down, it is possible, many things are in the 21st century, they could track you down.. They may even be doing it right now, if they don’t know how too hack the police sure do, than your parents could face big fines. This may not have been very helpful due to the fact that not many cyber bullies are on this website & it probably sounds like I’m “overreacting”, but this could happen to you if you keep cyber bullying. This is a WARNING, cyber-bullying isn’t only bad for the victim, it’s bad for you to.